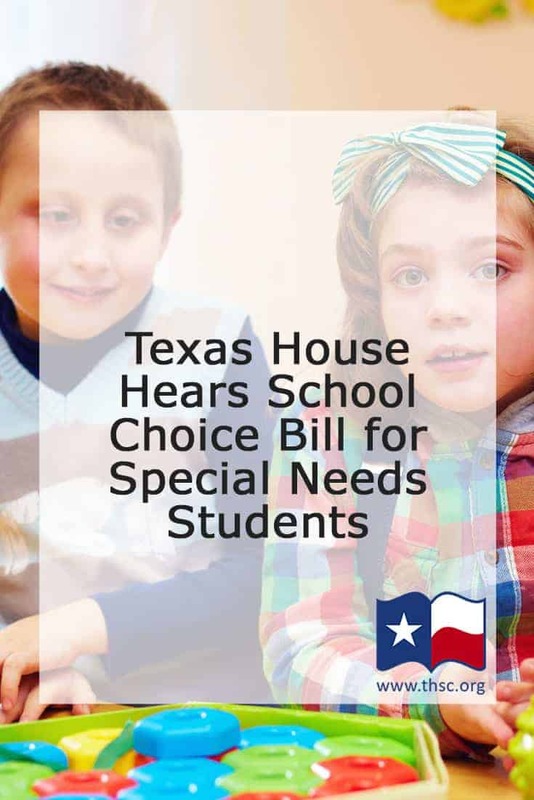 On Tuesday morning, August 1, Texas parents and activists flocked to Austin to attend a hearing on House Bill 253 by Rep. Ron Simmons, which creates a privately funded Tax Credit Scholarship program for special needs students. The hearing represented a positive step forward as part of the agenda set forth by Texas Gov. Greg Abbott and Lt. Gov. Dan Patrick to make school choice for special needs students a priority item during the Special Legislative session currently underway in Austin. However, there is still a significant hurdle to pass the bill through the House. The Senate version of the bill, Senate Bill 2, already passed the Texas Senate on July 25 by a vote of 19-12. Although the Senate bill passed the full Senate just five days after SB 2 was filed, speculation has run rampant over whether the Texas House will consider their version of the bill. The key opposition is House Speaker Joe Straus, who leans far left of Governor Abbott and Lt. Gov. Patrick and has publicly opposed their agenda. That’s why it was important for Texas families to rally in support of HB 253. What Does the Bill Do for Special Needs Students? 1. Increases funding for traditional private schools. 2. Creates a privately funded Tax Credit Scholarship program for special needs students. The Tax Credit program is funded by donations from private insurance companies. Under the bill, companies may donate dollars to the school choice program and receive a tax credit in return. The dollars are then distributed to eligible students as scholarships to attend an accredited private school. The program also allows limited funding to be used to assist special needs students who remain in the public school system with certain types of extra expenses. It should be noted that the bill structure is distinctly different than House Bill 52. This is Representative Simmons’ IEP Account school choice bill, which THSC covered earlier in the special session, that appears to be taking a backseat to HB 253 going forward. HB 253 Criteria: Who is Eligible and How Much is the Scholarship? Be a student with a disability. Enrolled in a public school the prior year. Attend an accredited private school for the year the scholarship is awarded. Students who qualify for the program may receive up to $10,000 as a scholarship towards tuition at an accredited private school. The program is capped at $75 million, estimated as enough to provide scholarships for up to 6,000 students. What is THSC’s Position on HB 253? Homeschool students are not eligible for participation under the bill. Only students attending an accredited private school will be eligible to receive a Tax Credit. THSC chose to testified favorably at the hearing Tuesday because the bill promotes parental rights and increases freedom for families and parents to decide what is best for their students’ education. However, the bill is far more narrowly targeted than school choice bills considered earlier this year, which did include homeschool students. What’s Next for the House Process? Now that HB 253 has been heard in the House, the next step will be for the committee to pass the bill so that it can go to the House Floor and ultimately be sent to Governor Abbott. While the Texas Senate has shown extreme efficiency and dedication in their support of Gov. Greg Abbott’s conservative agenda, the Texas House has repeatedly slow-walked important legislation. The House was also responsible for most related legislation failing to pass during the regular session earlier this year. As we reported earlier during the special session, it is unclear how long this showdown will last and what the final result will be. Texans who support parental choice in education can help by calling their State Representative and telling them to pass Governor Abbott’s conservative agenda, including HB 253 benefiting special needs students. – Do you appreciate knowing what parental rights bills are being considered by the Texas legislature? Sign up for our updates to stay updated on the latest happenings in Austin. – We need your support during the special session! The THSC Policy Team is hard at work at the Capitol protecting the rights of Texas families and homeschoolers. Please consider donating today, as a generous donor will be matching donations up to $5,000 during the special session. A donation of $35, $50, $100, or even $200 will double in value during the special session! Join with us to continue Keeping Texas Families Free. This law is very important for thousands of disable children in Texas. The congress needs to have more compassion and humanity, one day all of us going to be gone and the only thing that will remain from us: will be our good decisions and actions. Why not help children with disabilities???? Thank you so much for your support! We completely agree with you! 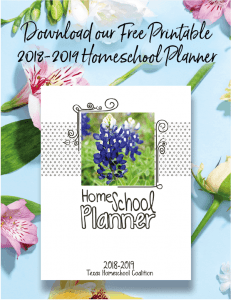 Where is a list of accredited private schools in my area, near Plano TX?